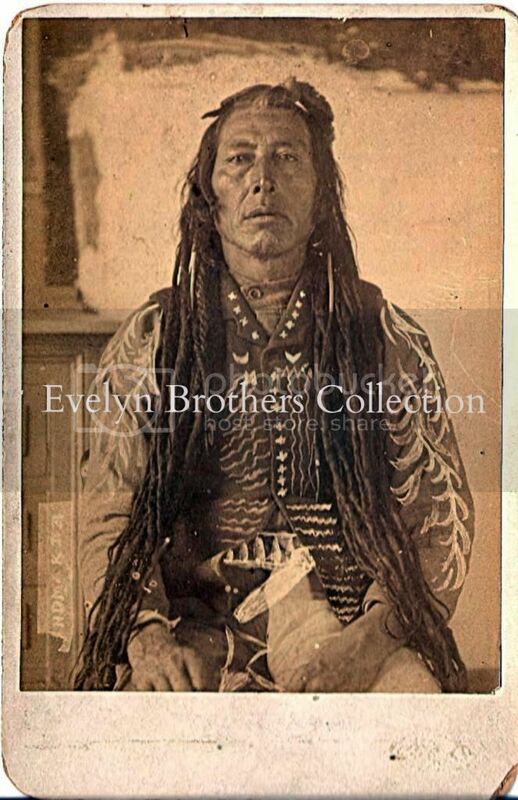 An image of Poundmaker not often seen. Thanks for posting this. Great picture. The actual identity of the man remains uncertain ( amertribes.proboards.com/index.cgi?board=portraits&action=display&thread=150 ), but now we know it's from 1885 or earlier. For good measure, here's an engraving of Poundmaker addressing his people from "Winnipeg War Sketches", May, 1885, and it, too, seems to be based on the photograph of Soup/Two Crows. ... a note in the Smithsonian archives which helps to explain how the mix up was perpetuated as well as the photographer being F.J. Haynes. "Note from M. Blaker to Mr Ewers (12/2/66). This is one of 6 unidentified photographs left for copying by Dr Frost, whom you sent over to see me last September. It is reproduced in Following the Frontier with F. Jay Haynes, 1964, page 220 with the caption, "The Famous Blackfoot Warrior, Two Crow." I would judge that this means Blackfoot Dakota, from the costume. Would you agree ?? Note to M. Blaker from Mr Ewers. Yes, I think he must be other than a Blackfoot Blackfoot. However, strangely enough, there is a reproduction of this same portrait in John E. Parsons The First Winchester The Story of the 1866 Repeating Rifle, page 145, captioned "Poundmaker, Chief of the Crees." And the portrait is attributed to "Courtesy of Royal Canadian Mounted Police." The only photo I know is by Gardner in 1872. I'll have to have another look later. Forget I said that, I'm thinking of Sitting Crow. He doesn't look Blackfoot, though. I still hold out hope that it's Bad Soup, one of Gall's head warriors. If it is a Barry, it lools like an early one, judging by the backdrop. Rory, the engraving at the top is based on a David F. Barry photo of Two Feathers (presumably Lakota) probably taken in the mid 1880s. 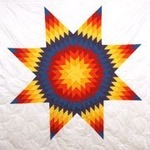 The photo below is interesting becase the writing is in the Lakota dialect, so I'd always assumed him to be one of the Lakota who went to Canada with Sitting Bull - and possibly even one of those who stayed. Is that a small pipe he has in his mouth? The only other photos I've seen where men are smoking a pipe like this have been of Blackfoot, Cree and a man (possibly Metis) in a group of Dakota. I'll post the Two Feathers photo later unless Dietmar or someone else does first. What happened to your post, Rory? No date for certain, but the backdrop resembles those Barry photos from the mid-80s. grahamew, I believe the drawing purported to be Wandering Spirit is not really WS. Even though I used the drawing on the cover of my biography of Wandering Spirit, I do not believe he was with the group that the artist encountered. I think the drawing is of Miserable Man who was with that group. WS was at the time further north with the group that eventually surrendered at Fort Pitt. FYI - This is a photo of the Cree man known as Suc-ah-mah-tah-mi-ah (who was the son of Poundmaker), standing with his son, taken in 1896. FYI - It seems pretty obvious, but just in case I wanted to point out that the white designs on Poundmaker's shirt sleeves and vest were painted onto the photo by the photographer, presumably to 'enhance' the subject and make it more interesting for a potential customer. An early marketing technique seen in many old photos of Native folks. How on earth didn't I see that? !